Everyone loves coffee – or so it seems. Have you tried the new Gummy Bear Latte yet!? It’s a latte made with espresso, foamed milk, gummy bear syrup and topped with whipped cream and shaved gummy bear sprinkles. I made that drink up. It doesn’t really exist. Not yet. Or maybe you’ve heard of “bulletproof” coffee. It has all the right ingredients for a hit – a weird recipe including butter – inspired by somewhere far away and exotic (Tibet) so it must be good – something obscure that many people know little about (MCT oil) so it sounds sciency, and then top it all off with ego-stroking terms like “bulletproof” and you have yourself a guaranteed hit. Perhaps it’s time we all agreed that many of us really don’t like coffee. People can’t seem to drink it unless it’s hidden inside a bunch of other ingredients. I made that one up too, but it’s an mash-up of real names of coffee drinks. Throw in the seasonal gingerbread and pumpkin spice variations and there’s and endless array of drinks featuring coffee as the least important ingredient. Calling these drinks “coffee” is like eating an entire cream sundae to get the cherry on top. I can’t bring myself to type the “bulletproof” here without quotes because it’s so over-hyped I’ll bet there are people out there who actually believe it makes them bulletproof and will test it out. Featuring coffee + butter + MCT Oil (coconut, or the laughably named “Brain Octane” oil), “bulletproof” coffee is a rapidly growing fad. I had a client ask me “Should I try bulletproof coffee?” with a look of mild disgust on her face. When something that sounds off-putting to someone starts seeming like something they “should” do, there’s powerful hype/marketing at work. With some vague gibberish about how all coffee in the world (except of course, the “upgraded” coffee available for sale) has mycotoxins and promises of life-changing benefits that would make a superhero jealous, the mix of mystery, potential danger, and strangeness is too irresistible for many people. Butter isn’t a beverage. Regardless of what some obscure groups in Tibet or Africa do, in North America butter isn’t a beverage just because you can find a human that drinks it. Grass-fed butter has many great benefits. So do MCT oils. So does coffee, for that matter. Just because stuff is awesome doesn’t mean putting them together bestows magical powers on it. Maybe someone should invent “idiotproof” coffee. If you love peanut butter and lobster, why not try them together? 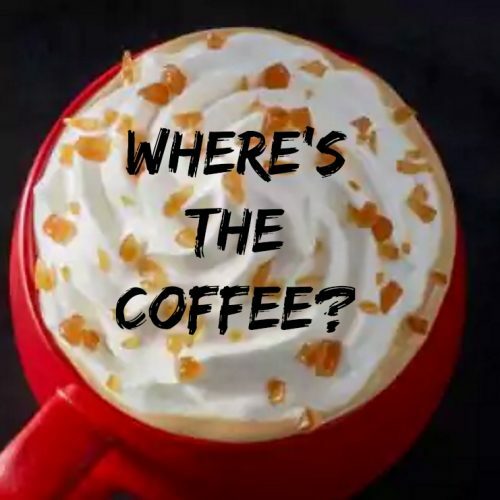 Or maybe there will be a Peanut Butter Macchiato or Lobster Latte coming soon to a coffee shop near you!